Fishel, composer and musician plays piano, saxophone and violin. family in Toronto where he organized and established a music studio “F&N Enterprise” where gifted children take piano, keyboard and saxophone instructions. Fishel is an arranger with many years of experience in this field. His latest projects included collaborations with the Hal Leonard Company (the biggest Publisher Company in the World) on eleven play-along series books, such as Broadway Hits, Jazz Standards, Pop Rock Ballades and others. Also Fishel is working for Mayfair Music Publications (Canadian Company). He has made arrangements for few books "Leila Fletcher Piano Course" (Books 3-6). 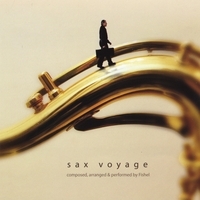 Recently Fishel has released a new CD entitled “Sax Voyage”. This latest CD is a successor to a previous release called “Sax Paradise” which is playing on over 100 Radio Stations worldwide. Интересный альбомчик, но я не помню такую группу “True Friends”.